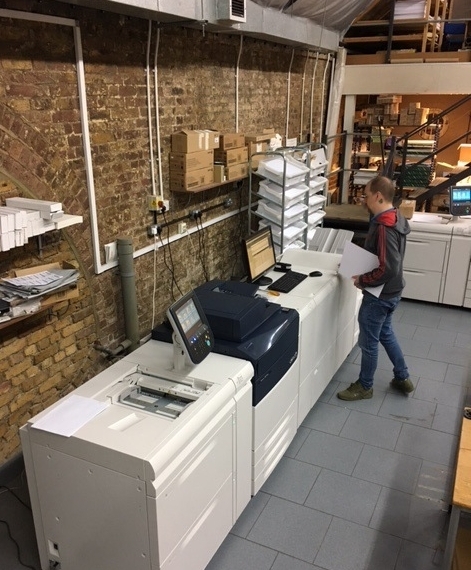 In December 2017 we installed three new digital print machines. The first was a Versant 180 colour machine perfect for the speedy turnaround of flyers, business cards, booklets and presentations The Versant also has a three knife trimmers which means short run booklets can be produced quickly inline. We also added two black and white machines that run at 110 and 127 copies per minute respectively great for multi-page reports.